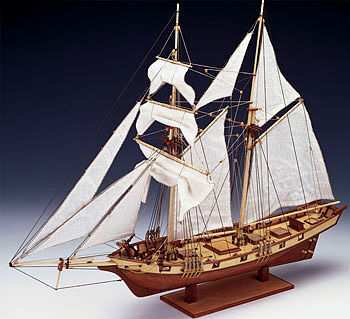 Save On Wood Model Ships, Wood Boats, Wood Ship Models, Wood Boats, all upt to 60% off. The Universal series is designed for the builder with little experience, and has a pre-construced hull for easier assembly. This ship is a magnificent scale reproduction of The Albatros sailing ship, which was built in 1899, also known as a North Sea Klipper. It went through a complete restoration in the mid '80s, and was recommissioned as a sailing cargo vessel with classification GL 100 A4K, and still sails today! 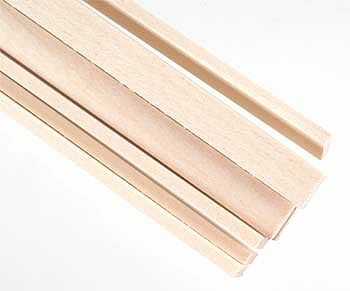 Various types of top-quality woods are used. 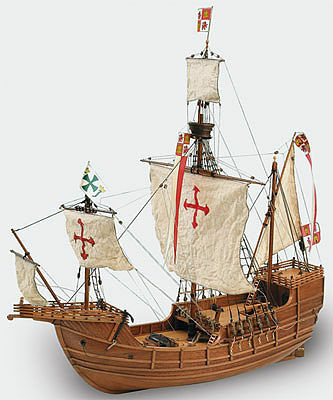 This Static Display boat is an all-wood replica of the Santa Maria one of the three ships that Columbus sailed to the New World. Hand sewn and sized cloth sails. All-wood construction features african walnut, mukali, plywood, and sapelli. Brass hardware such as eyebolts, hinges, capstan, nails and more. This Static Display Boat is an all-wood replica of the high seas tugboat dating from the end of the 19th century to the beginning of the 20th century. 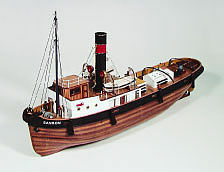 Intricately detailed tugboat model replicates such details as the windlass, cloth fender lashings, canvas lashings for the lifeboats. brass navigation lights and much more. FEATURES: Sucess Series Construction Manual Full-size rolled plan Midwest Micro-Cut Quality Basswood and Mahogany parts Flexible Basswood Planking Strips Complete Fittings Set Strongback/Display Base. 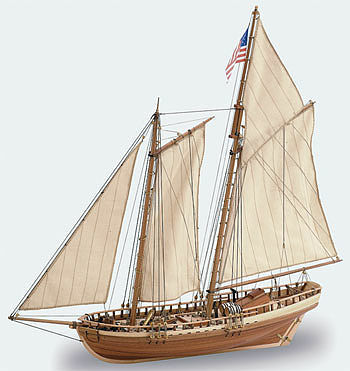 The Latina Virgina 1819 was designed in 1819 and launched that same year. 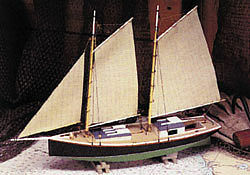 Also know as ''schooners'', these boats offered great maneuverability and elegance. Equipped with a central swivel mounted carronade and lighty armed plus high speed the Virginia was used for pursuit and intercepting tasks as a Coast Guard boat. Hand sewn main, top, stay and fore sails. All-wood construction features African Walnut, Mukali, Sapelly. Mahogany, Manzonia, Ramin, Apple-Wood plywood and boxwood. Brass hardware such as blocks, eyebolts, fore-sheet bars, pinracks and much more. Four colors of thread, brown and raw (pale green) for different rigging applications. 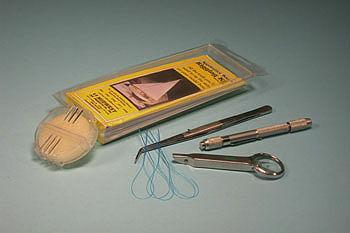 Everything you need to rig the sails on your Midwest Products model boat--all in one package! Includes the most useful tools available for completing the rigging and sail installation on your model sailboat. Stainless steel Bent-Tip Locking Tweezer holds small parts--simply press the lock and the parts easily release. © Hobbylinc.com. All rights reserved. Images and Descriptions are representative only, actual items may vary. Prices subject to change without notice. Hobbylinc maintains no responsibility for inadvertent errors. 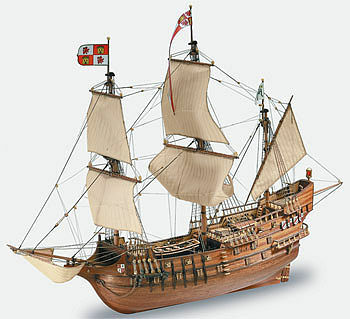 hobbylinc.com is a full line hobby shop which carries model ships, wood model ships, wood ship models, wood boats, model, ships, wood, models, boats, and much more.